Literacy and Numeracy Drive LND for school education is a step taken by the government of Punjab in collaboration with the Punjab IT Board to evaluate how schools are performing.For efficient measurement of the progress, field officers or Monitoring and Evaluation Assistants (MEAs) are given devices. These devices have built-in applications, developed by the Punjab IT Board, that contain a series of tests based on multiple choice questions and students are picked on a random basis in every school to take these tests. The test consists of seven multiple choice questions related to Urdu, English and Mathematics. In every school up to six students of different grades are selected. LND Test is kept mandatory for class 3 students in order to bring strong awareness as well to boost the intellectual level respectively. In LND practice test question set is designed by the Chief Minister roadmap team with the assistance of the Punjab IT Board. It is prepared on the basis of SLOs that are taken from the course outline. An average of 49,000 public schools is visited on a monthly basis, with approximately 2,400 visits each day. It means that around 14,000 students are assessed every day.Literacy and Numeracy Drive for school education is a step taken by the government of Punjab in collaboration with the Punjab IT Board to evaluate how schools are performing. 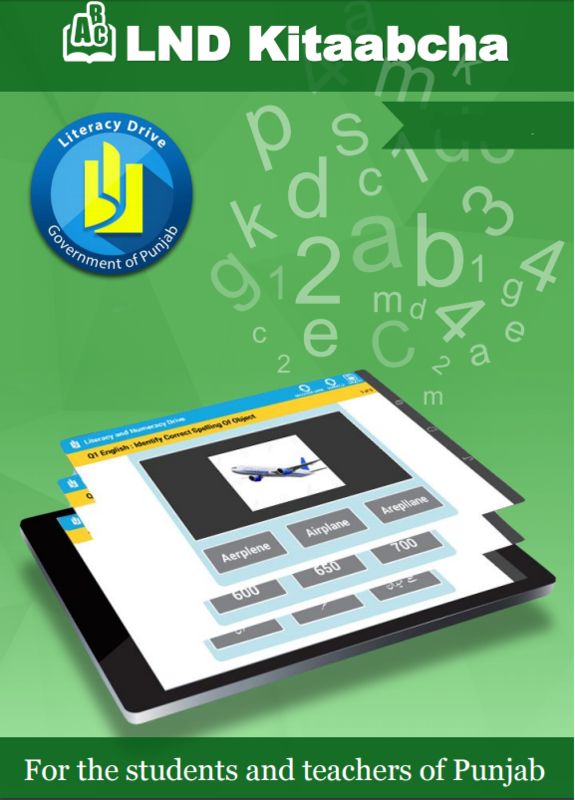 We have provided complete pdf LND test kitabcha for the 3 class for all districts in Punjab in a following link respectively.